In addition to my responsibilities as a professor here at UVA, I am co-director of the Law & Public Service Program. It is a position that has given me tremendous satisfaction over the years, principally because it has brought me into contact with an amazing group of inspired and inspiring law students, determined to use their law degrees to promote the common good. In recent weeks, I’ve grown a bit philosophical about the program, its mission, and why I am drawn to it. And I wanted to take this opportunity to explain my reasons for reflection. In sixth grade, a teacher gave us a stock assignment—write about the person you most admire. Classmates chose everyone from Gandhi to Joe Montana. My choice was easy. 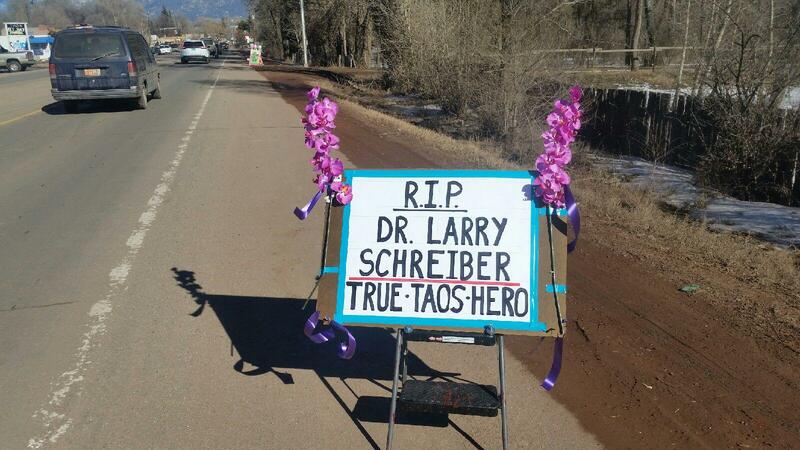 I chose my uncle, Larry Schreiber, a small-town family doctor in Taos, New Mexico. He was a former hippie, who had joined the movement for its values. And he would continue to live by those values long after many of his generation had traded VW vans for BMWs. He was not just a committed local physician willing to provide medical care for firewood; he traveled the world with the Red Cross, providing treatment to refugees and other victims of humanitarian crises. And, ultimately, it was not enough for him merely to reach out to others; he felt compelled to draw them in, so he adopted ten children, several of whom had special needs. In total, he would come to father fourteen children. And, if that were not enough, he co-founded Child-Rite, a nonprofit committed to helping other families adopt special-needs children. Larry Schreiber died last month, following a long battle with Parkinson’s disease and a short time after suffering a stroke. His hometown remembered him with a standing-room-only memorial and a touching front-page obituary in the Taos News. Even more fitting to my uncle’s DIY nature, handmade signs appeared all over town, honoring him as a local hero. At his memorial, cards were distributed, inscribed with his favorite quotation, by Marian Wright Edelman: “Service is the rent we pay for being. It is the very purpose of life, and not something you do in your spare time.” It is a beautiful and true sentiment, and I can’t help but tear up when reading it. But I think it’s not quite complete. What I learned from my uncle is not only that service is a debt we owe to ourselves and to each other for living, but also that service is living—perhaps in its highest form. I’ll use a tangent to explain what I mean (which my students can attest is my unfortunate pedagogical propensity). Ironically, my uncle and I bonded in recent years not over a shared commitment to public service but over a shared passion for hiking, snowshoeing, skiing—over a mutual love for mountains and daring adventures among them. My wife’s favorite memory of my uncle is from a short hike we took two summers ago. It was an area my uncle knew well, right near his home. We started out with a storm brewing and night approaching. After twenty minutes—with lightning striking nearby—my uncle announced, merrily, that we were utterly lost. We waded through thorns and brambles as the thunder claps grew frighteningly loud (in tandem with my wife’s rising panic). All the while, my uncle kept smiling and cheerfully chatting away. In retrospect, I honestly believe my uncle wanted to get lost. He wanted something different. He wanted to get off the beaten path. He wanted to take a risk. And he wanted the rest of us to take a risk. Upon reflection, I have come to find a harmony in two seemingly distinct aspects of the man’s personality. There was the humanitarian, and there was the adventurer. There was the doctor and father who served, and there was the free spirit who abandoned New York City for the wilds of rural New Mexico, who hiked across the Himalayas and to the top of Kilimanjaro (even after Parkinson’s had taken a toll). My uncle intuited that genuine service and genuine living are both risks. You cannot serve without risk, and you cannot live without risk. Service is risk, and risk is living. And so, in its own way, service is living. Any law student can attest that there is a well-trod and relatively smooth path to private law and a windier and rougher path to a public-interest job. I’ve come to believe that the purpose of the Law & Public Service Program is to help students find and navigate the rougher path. Very few of us have my uncle’s innate fortitude—the ability and passion to throw ourselves headlong into the brambles. He recognized this, and so he formed Child-Rite to develop a community to help others adopt special-needs children. In the same vein, we have formed the Law & Public Service Program to develop a community to help each other prepare for public-interest legal careers. Still, the need remains sometimes to take the big risk. And so I hope the program will also prepare our students—if and when the time comes—to head off alone into uncharted territory. To travel up to the point of the hike where there’s no path left—and then push on. 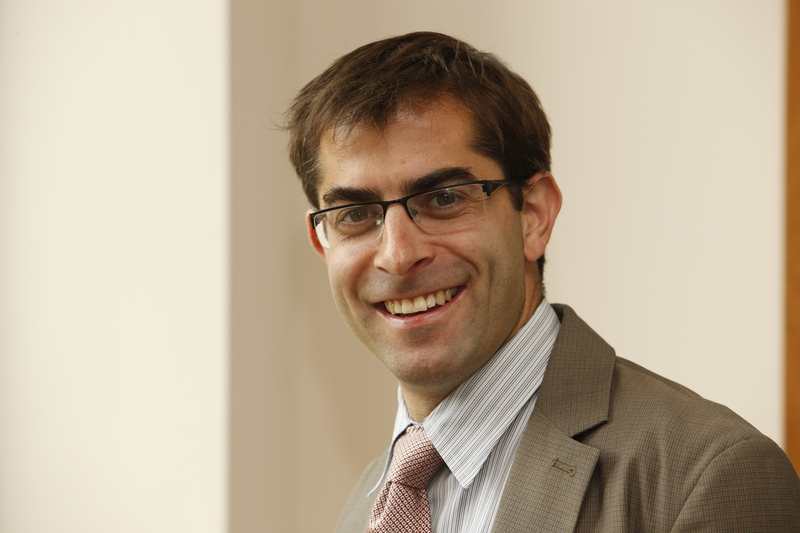 Josh Bowers, in addition to being a F. Palmer Weber Professor of Law, is one of the co-directors for the Law and Public Service Program. His teaching and research interests focus on criminal law, criminal procedure, criminal justice theory, and constitutional law. Professor Bowers attended New York University School of Law and then went on to clerk for Judge Dennis Jacobs of the U.S. Court of Appeals for the Second Circuit. He practiced law as an associate for Morvillo, Abramowitz, Grand, Iason & Silberberg P.C., a boutique white-collar criminal defense firm, and also as a staff attorney for the Bronx Defenders, a community-based public defender organization. Before joining the faculty at UVA Law, he was a Bigelow Fellow at the University of Chicago School of Law.